Heart Morass, near Sale, is an amazing wetland complex where the Thomson and Latrobe rivers meet. It is an ecologically diverse and complex location, and the spot where two large ecosystems meet – the Gippsland Plains and the Gippsland Lakes. 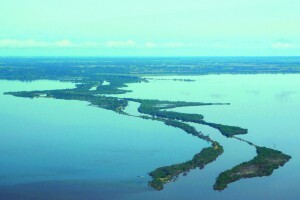 The permanent opening of Lakes Entrance to the ocean, together with reduced river flows because of upstream dams and irrigation, means a water outlet control structure needs to be used to ensure water at Heart Morass is as fresh as possible. The current Heart Morass outlet is old and not working as well as it should. 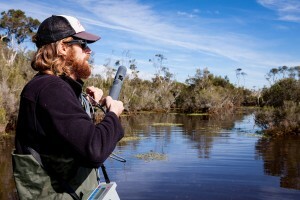 The outlet regulator allows water to be either drained from, or held within the wetland. This project will construct new water control gates at the Heart Morass outlet drain. Control a pest plant or poor water quality event. Encourage healthy regeneration of native wetland plants that provide a valuable food source and breeding habitat for water birds. The structure can also be closed to help hold water in the wetland to achieve similar ecological outcomes. Heart Morass is on the western side of Lake Wellington and gets freshwater flows from the Latrobe River. 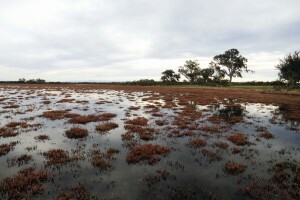 It is a significant wetland on the Ramsar-listed Gippsland Lakes and provides bird breeding and foraging habitat for water birds, frogs, reptiles and fish. Heart Morass is one of the great ecological success stories of recent times. The once great wetland had been severely degraded through heavy grazing and was suffering from acid sulphate soils and high salinity levels. An epic restoration effort was sparked when the wetland dried out completely for the first time in 2006. The restoration works, combined with a series of good seasons, have seen the Morass return to its best ecological conditions for decades, including the return of over 30,000 water birds of a wide range of species. Management of water regimes, achieved through infrastructure like the outlet structure, are critical to the Heart Morass rehabilitation. 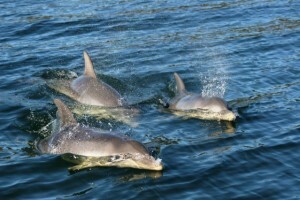 This project is funded by the Victorian State Government for the Gippsland Lakes.